Last September, around 100 tonnes of recycled glass and plastic were used in a road resurfacing project in Richmond, Melbourne. The City of Yarra engaged recycled material producer and asphalt contractor Alex Fraser for a trial of its new asphalt product containing recycled glass, asphalt and high-density polyethylene plastic – equivalent to 1500 wheelie bins or 7300 plastic two-litre bottles, and 55,000 glass bottles. 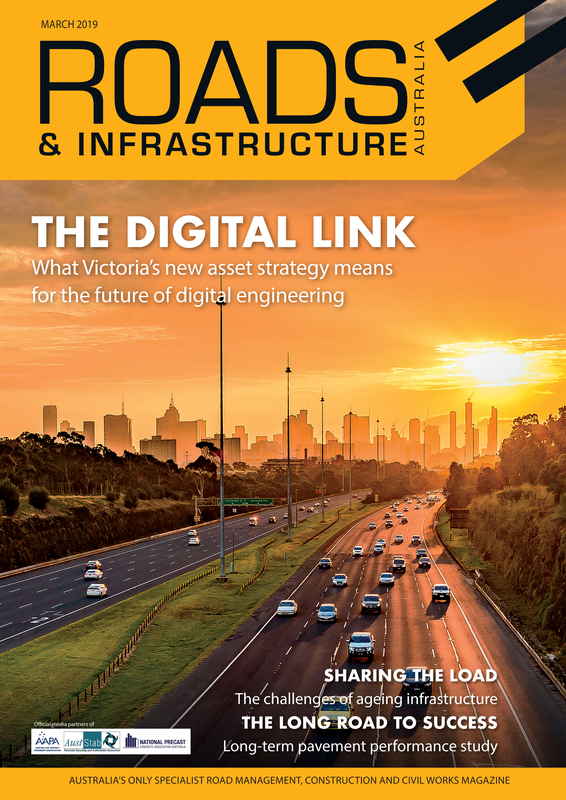 A major milestone for the road construction and maintenance community, the project exemplified just how much of a difference the industry could make to improving sustainable outcomes within Australia. As a business leading the charge in sustainability, setting a benchmark for “green roads” and delivering valuable infrastructure work, it needs reliable, productive and safe mobile plant and construction equipment to ensure it continues to deliver benefits to its clients and communities across the country. 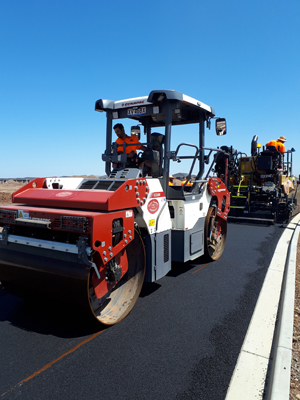 Seeking a new roller for one of its five asphalt crews in the broader Melbourne metropolitan area, Alex Fraser undertook a comprehensive trial phase to ensure it picked only the best equipment for the job. Mike Stanes, Special Projects Manager at Alex Fraser, says the company looks for quality, reliability and value for money when purchasing new equipment. However, safety is paramount. When Alex Fraser started looking for a seven-tonne roller with particular ergonomically benefits to mitigate manual handling exposure, they turned to Dynapac to trial the new CC2200 Double Drum Roller. Working with national equipment distributor CFC Distribution, Alex Fraser ran the new machine through a testing period with each of its five Victorian asphalt crews. Each crew trialled the new roller for a couple of days over two months, submitting their feedback and reviews regarding the operator experience. The asphalt crews found the Dynapac Roller operating console comfortable and easy to use, easy to move from one side to the other by way of a sliding seat and offered a good field of vision. The tandem rollers are designed with operator comfort and efficiency in mind, including high-end compaction control and serviceability. The model also includes the suite of Dynapac-specific features, including its Dyn@Lyzer compaction control documentation system for soil and asphalt rollers, Dyn@Link tool for monitoring and controlling fleets and Eco Mode to improve fuel savings and environmental outcomes on the machine. “Our crews have been impressed by the roller’s workstation. The ergonomic design provides an easy and comfortable user experience. They have found it has a strong sense of stability and it’s easy to transfer from one side of the machine to the other,” Mr. Stanes explains. During the testing phase, Alex Fraser’s physiotherapist assessed the machine, and suggested repositioning the handrails to improve operator ingress and egress. “We talked to Dynapac and CFC about our safety requirements and they were really responsive, customising the position of the handrails to meet our needs,” Mr. Stanes says. He adds that this flexibility and knowing the distributor and manufacturer is on hand for anything specific to the brand were important factors in the Alex Fraser’s decision, and a key reason why it selected the Dynapac CC2200 Double Drum Roller. Having taken delivery of the roller this January, Alex Fraser is now putting the machine to work on a diverse range of projects underway in Melbourne. 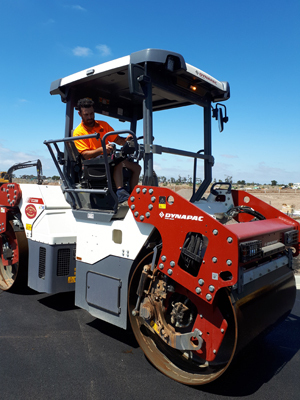 The same model of Dynapac roller has recently been purchased by Alex Fraser’s sister company, Suncoast Asphalt, in Queensland – also part of the Hanson Group of Companies.